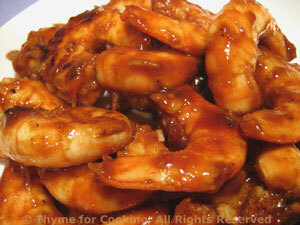 Barbecued Shrimp, Veal Chops, are some of the main courses this week. We get 'country' veal, which is grass fed, and butchered at an older age. It's the color of lamb or pork and very tender. We prefer it medium rare, and lightly flavored. We can't get nice, center cut chops, though... Substitute pork chops if you prefer. Whisk olive oil, lemon juice, herbs and garlic. It should emulsify. 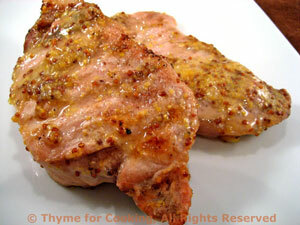 Spoon over chops and allow to marinate for 20 - 30 minutes. Grill chops on barbecue for 3 - 5 minutes per side, depending on how thick and how done you want them or broil about the same amount of time. Brush once with any reserved marinade. Take a peak to see how done they are - when correct remove from grill. Sprinkle with a bit of sea salt, grind some pepper and serve. 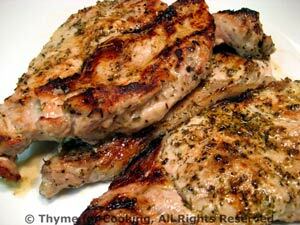 Chicken breasts are a favorite on the grill but be careful not to overcook or they tend to dry out. We prefer to slice them thinly, at an angle, to serve, rather than leaving the breast whole, but that, of course is optional! 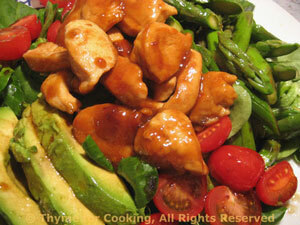 In small bowl mix lemon juice, oil, honey, soy sauce and garlic powder. 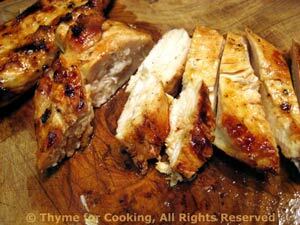 Place chicken breasts in a dish with sides and pour marinade over. 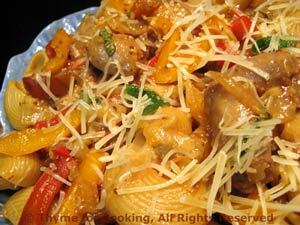 Let marinate 15 minutes or up to 4 hours in the refrigerator. Remove from marinade and cook on barbecue grill for 7 - 10 minutes per side, or until done, basting with marinade until 5 minutes before removing (to make sure marinade is cooked).